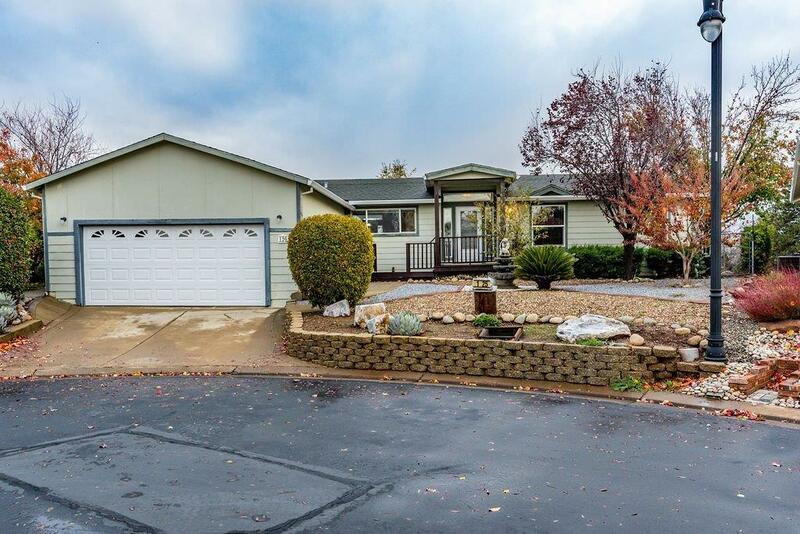 Nice manufactured home in Beautiful Historic Sutter Creek, close to downtown. This home is located in a retirement community (Mesa De Oro) with a pool and club house. It features 1918 square feet with 3 bedrooms and 2 baths built in 2003 has an open floor plan and a large kitchen with granite counter tops, Gas cook top and includes the refrigerator, microwave, electric oven and dishwasher. Beautiful Low maintenance yard and a fenced back yard area.